Browse the Sanborns and Baists as they were originally published. *Note that the published date for the volume as a whole may differ from indiviudally updated maps within the volume. The record for each map will include the original and updated date. This collection consists of large-scale color maps depicting the commercial, industrial, and residential sections of Indianapolis, Indiana. The Sanborn Fire Insurance Maps include the years 1887, 1898 (updated between 1900-1915), and 1914-1915 (updated between 1915-1950), while the Baist Real Estate Atlases include the years 1916, 1927, and 1941. The maps show individual building "footprints", complete with construction details, such as building material (brick, adobe, frame, etc. ), height (of larger buildings), number of stories, location of doors, windows, chimneys and elevators, use of structure (dwelling, hotel, church, etc. ), street address, and occasionally the ethnicity of the occupants. The Sanborns were created by the Sanborn Company starting in 1867 specifically to assist insurance companies in determining fire risk and thereby premiums while the Baist Atlases were used for real estate zoning purposes. Today these maps are used by scholars and researchers in such fields as history, urban geography, architectural history and preservation, ethnic studies, and urban archaeology. In addition to keyword searching, extensive metadata enables you to search by landmark type, such as churches, or by specific landmark name, like Indianapolis Water Company. To do this click on "Advanced Search" and select the only the box for Indianapolis Sanborn Map and Baist Atlas Collection. At the top of the page, click on "Selected fields" and pick a field to search using the drop-down menu. Clicking on "show terms" will display a box with a list of terms to choose from. "Sanborn", "Sanborn Map", "Sanborn Map Company", and "Sanborn Fire Insurance Maps" are recognized trademarks of the Sanborn Map Company, a subsidiary of Environmental Data Resources, Inc. (EDR). The presentation of historic Sanborn Fire Insurance Company maps of Indianapolis on this site is in no way connected with either the Sanborn Map Company or Environmental Data Resources, Inc. This kit contains all the documents needed to replicate the activity, "Indianapolis in Maps: Now and Then" which is a 1-2 hr. program that introduces learners to the benefits of maps as tools for discovering a city’s (and its people’s) history. Using map navigation skills, participants will be provided with a list of well-known present day landmarks in Indianapolis. They will locate these sites on a current map of downtown Indianapolis and using the information found here (addresses, street crossings, site surroundings) locate the same site on the Sanborn Fire Insurance Map from 1887 or 1898. Some landmarks will be the same, showing learners that many present-day landmarks in Indianapolis existed over a hundred years ago. Participants will also find that many of the same buildings still exist but that they are now used for different purposes. And finally the class will also find that some areas of downtown have completely changed their look and purpose. In addition to finding the specific landmarks listed the participants are also encouraged to explore the maps in-depth (especially the older maps) and record anything that stands out to them, is interesting. While students will work in groups or individually on the formal worksheet activity, the class will come together at the end to share their discoveries and what these discoveries might infer about the city, its people, and its history. Full set of map keys, indexes, and reference tools from the Library of Congress. Sanborn Abbreviation list from EDS. 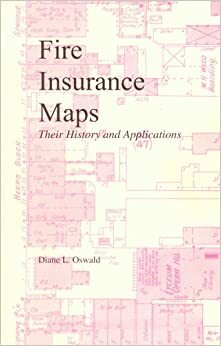 About Sanborns: Oswald, Diane L. Fire Insurance Maps: Their History and Applications, College Station, TX: Lacewing Press, 1997.Held at IUPUI University Library, Call # HG9771 .O89 1997 STACKS. Availble for purchase through Amazon.